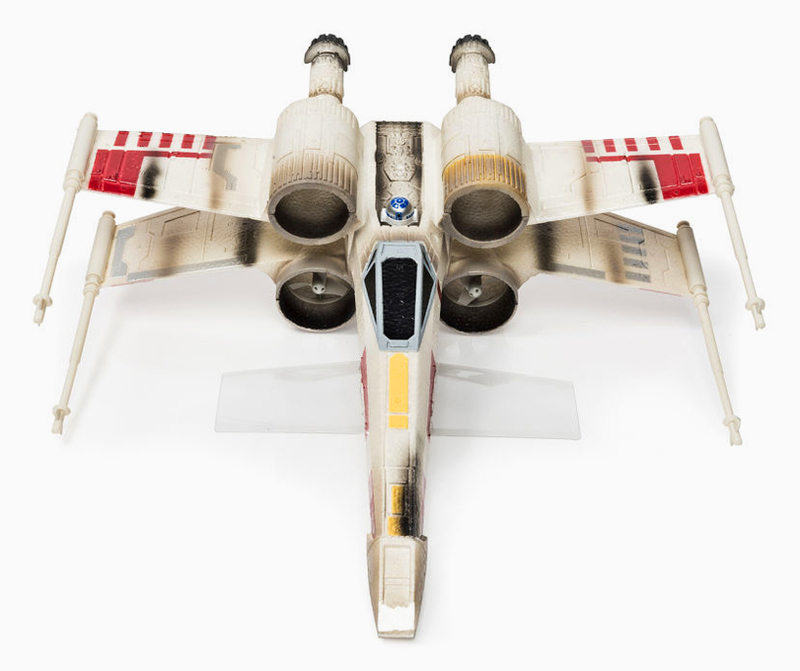 unfolding over the course of 18 hours, the ‘star wars: the force awakens’ global live toy unboxing event highlighted a range of exciting merchandise for anticipant fans. 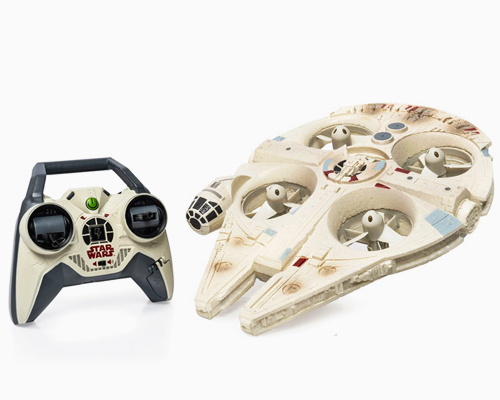 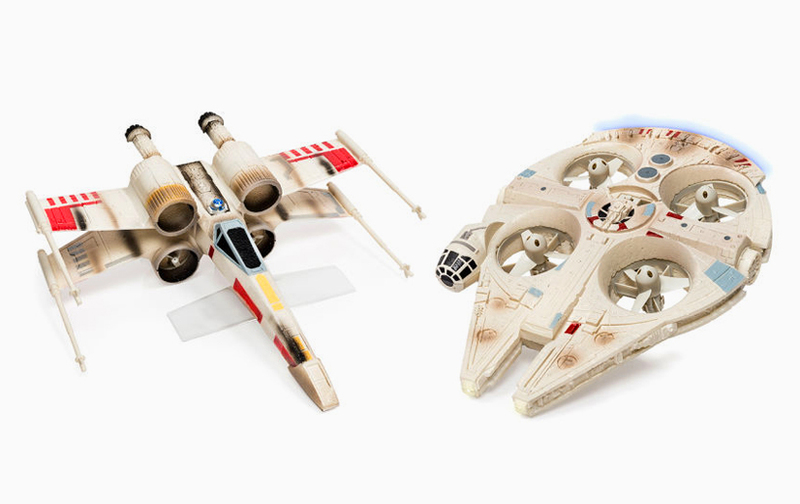 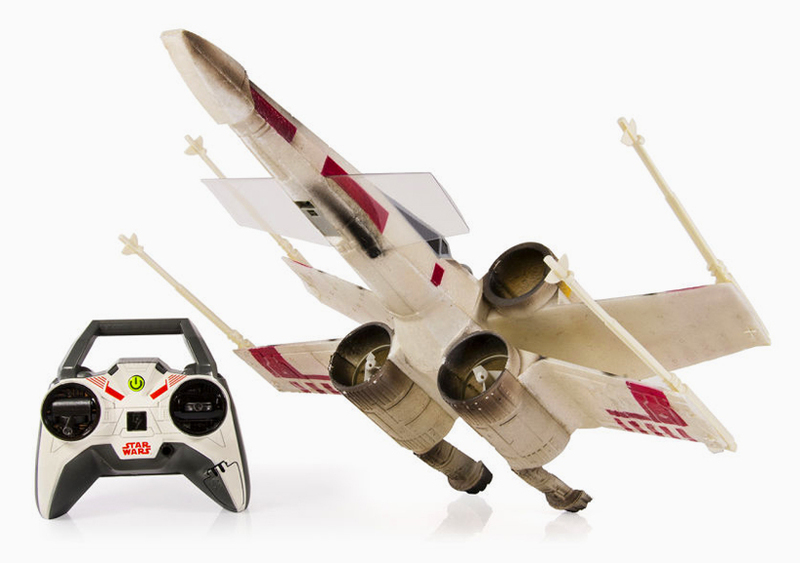 amongst the new figurines, lego sets, and wearables was the reveal of two star wars-themed drones: a remote-controlled millennium falcon and x-wing starfighter. 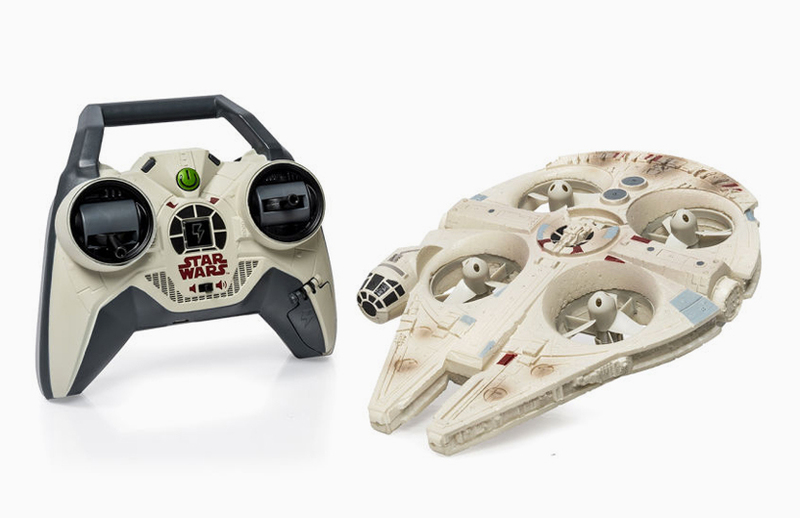 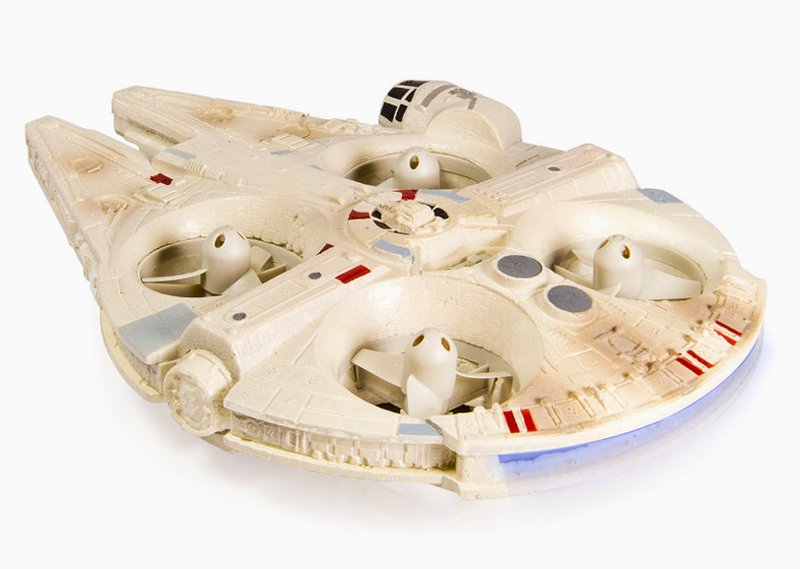 air hogs will sell the richly detailed millennium falcon quadcopter — which can hover, fly in any direction and light up — alongside the x-wing starfighter air vehicle, complete with blasters and R2-D2.